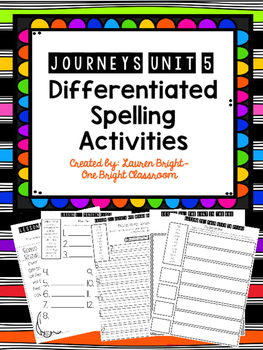 In this unit you will find 3 different spelling lists for each of the stories in the 2014 Edition of the 2nd Grade Journeys series UNIT 5 stories including Penguin Chick, Gloria Who Might Be My Best Friend, The Goat in the Rug, Half-Chicken, and From Seed to Plant. 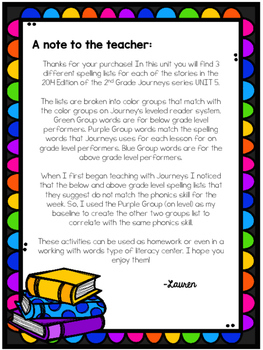 The lists are broken into color groups that match with the color groups on Journey’s leveled reader system. 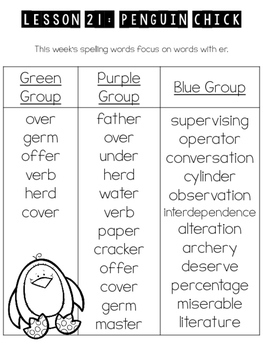 Green Group words are for below grade level performers. Purple Group words match the spelling words that Journeys uses for each lesson for on grade level performers. Blue Group words are for the above grade level performers. When I first began teaching with Journeys I noticed that the below and above grade level spelling lists that they suggest do not match the phonics skill for the week. So, I used the Purple Group (on level) as my baseline to create the other two groups list to correlate with the same phonics skill. 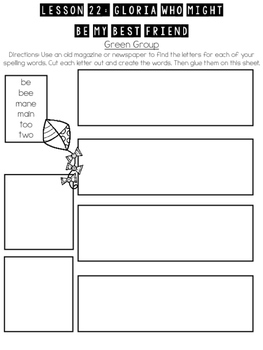 These activities can be used as homework or even in a working with words type of literacy center. I hope you enjoy them!